Footballers Have a Bad Reputation! The phrase ‘I wouldn’t trust you as far as I could throw you’ resonates when it comes to Footballers- as they have been deemed the least trustworthy public figures over bankers, politicians, j. Seems as though Footballers can only be trusted to kick a ball! Research conducted by IllicitEncounters.com concluded that 91% of the 2,000 women surveyed admitted the first characteristic that comes to mind when thinking of footballers is ‘cheater’, before talented’, ‘ambitious’, ‘athletic’, ‘fit’, or ‘motivated’. “It’s not difficult to see why the stereotype that all footballers are cheaters is so strong in Britain with the likes of Ashley Cole, Wayne Rooney, Ryan Giggs, John Terry, Peter Crouch, Franck Ribery and Carlos Tevez casually engaging in affairs,” said Clare Page, spokesperson for Illicit Encounters, “Men often follow examples of their boss, father figure or leader and their managers aren’t doing a great job of that – when the likes Arsene Wenger and Sven Goran Eriksson get away with it, they may think they can do the same. It is both a blessing and a curse that as women we have a deeper emotional connection with ourselves and those around us. Females are more consciously aware of their feelings and not just that- better at expressing them. In a social context our thoughts and interactions are sometimes fueled by emotion, or a bunch of emotions at one time. We are able to summon up feelings of anger almost simultaneously with feelings of forgiveness- and this ability to feel more than one thing at once and distinguish between each emotion is a mature intelligence. But sometimes we may become entrapped by our own thoughts, with a tunnel vision that feels endless and inescapable. In times like this it is key to acknowledge that your mind is a tool- and it will behave in whichever way we will it to. Whenever you loose the will to do things remember it is of your choosing and that also means you can choose to think and act a different way. We can be our own worst enemy at times and the self-realization of this is the first step to releasing your fears and demons and bringing you one step closer to fulfilling your dreams. Here’s a quick step guide to Emotional Freedom. A negative attitude is always going to hold you back. Change ‘I can’t do this’ into ‘I will do this’ and you will begin to see that you CAN do it. Forget the three words that bring a smile on your face – I love you is out and LOVE YOU is in. You must, must, must Love YOU! I cannot stress the emotional impact and value loving yourself will have on you as a person. Focus on reasons why you are amazing, never let yourself dwell on reasons you are not. 3. Forget what others think. Remember that what you think is the most important thing. Do not allow others to pass judgement onto you- you do NOT need anybodies approval. Yes it’s nice when somebody agrees with you but it is not a necessity- if you follow your heart you will begin to notice that those who may have disagreed with you in the first place have quickly done a 180° and are now right behind you. 4. Say NO to Compulsive Thinking. A very smart lady once told me that you are not responsible for your first thought, only your second. You may have an irritable thought that just keeps coming back into your head that is not positive- maybe you keep dwelling on a recent fight- this is BAD projection- instead- acknowledge the thought, accept you may be feeling like this, then LET IT GO! Do not obsess- simply acknowledge, accept, and move on. 5. Let go of hatred. Forget anything you’ve ever learnt about anger, revenge, grudges. Just forget them in their entirety. It is not in your best interest to draw out a battle- why use your emotional resource on something that has no benefit to you whatsoever? Hating someone is exhausting, if there is no way to resolve a fight then just allow these negative thoughts to leave you and get on with the rest of your life. Believe it or not, being the bigger person makes you appear STRONGER not weaker. Yesterday is history, tomorrow is a mystery, and today is a gift; thats why they call it the present. Apparently cooking a good meal tops the list in most attractive skills in a lover. Extra marital dating site IllicitEncounters.com surveyed 500 women, asking them the question ‘what’s the most vital skillset for your potential partner – DIY, playing a musical instrument, speaking in public, dancing, speaking a foreign language, or cooking a good meal?’ Cooking fared the best, getting the most votes. I am glued to my phone. Literally and unequivocally stuck to it. My face has some sort of gravitational pull towards my spanking new iPhone 6 as my fingers delicately trace the multi touch screen with sensual ease- as though playing the keys of a grand piano in the middle of a mystical forest with a waterfall backdrop… STOP! This is not the start of a fantasy novel – it is merely the obsessive tendencies towards modern mobile phone technology- and it has got to end! According to a recent study by mobileinsurance.com the average person spends an approximate of 90mins on their phone each day. That is 23 days a year and 3.9 years of an average persons life. 3.9 YEARS! That is astounding. I can think of many more more useful things I could do with 3.9 years. I could have another baby, get a Masters Degree, begin a new career, learn to scuba dive, break in a horse, make my own wine, breed a Siamese cat, get a friggen PILOT LICENCE. That’s it. I’m putting away my phone and learning to fly. I fancy the bass player. Turns out musicians are at the top of the Lust List reported by Illicit Encounters. Apparently women find musicians are the best in bed, above buff body hunks such as personal trainers and models. According to a poll by married dating site IllicitEncounters.com musicians came in at 38% of the vote, personal trainers 18%, models 11%, lawyers 7% and bankers at a extreme low of 0.5%. & here are the top Fantasy Partners! A Guide to Moving on. Are you stuck in orbit? A series of bad decisions may have got you here, but you’ve only stayed here because you chose to. Want to know the secret to breaking an infinite loop? The first step to getting out of a destructive cycle is to recognize you have the strength to do so- once you begin to acknowledge that you are stronger than you think you are the healing process can begin. Summon up the courage to say enough is enough and change your life today! You are smarter, faster and better than what you give yourself credit for. And if you still don’t believe in yourself- just do something and trust me the courage will follow. Now it really doesn’t matter what it is you are trying to move on from- maybe you’ve had a tough year, somebody you loved is no longer a friend, maybe you’ve lost some confidence for whatever reason- the steps to moving on are the same, only from a different perspective. The main reason people never stray from the regular is because they are afraid. One of the main reasons people don’t embark on an adventure of change is because they think it may be too late. First lesson you need to learn to move on is that it is never too late. You want to chase that career you’ve always dreamed about? There are pensioners out there who start anew, there are divorcees who find new love, there are middle aged people who move to the other side of the world. Pursue your passion and ambition, and also remember it is never too early too start. Work on your confidence. Daily. This one is simple. You need to give yourself more credit. There is no need to be shy in life because an embarrassing moment is over so quickly it means nothing from one second to the next. Life passes by so fast and you’re just going to sit there and put yourself down? Tell yourself you can do anything and that you are good at everything and you will soon begin to believe it. Throw yourself in at the deep end. It is often said that when we are out of our comfort zone that we have the most amazing experiences. If there is something you’ve always wanted to do but you felt nervous about doing- now is the time to say YES and just do it. You may be pleasantly surprised at how much you gain from a previously scary experience. It’s once been said that holding onto anger is like drinking poison and expecting the other person to die. Try to see the bigger picture- a feud with your mother in law is not the be all and end all of life’s problems- hate, resentment, holding a grudge- this is all negative energy you are simply reflecting back on yourself. Work on letting things go mentally. Trust that things will simply work themselves out. Look to the future with positivity and excitement. Always remember that what goes up must come down- so although things may seem chaotic right now, life has a way of restoring the balance. Don’t live in the past 🙂 Look towards a big, bright BEAUTIFUL future! I’ve always had this notion that you shouldn’t really trust someone who doesn’t like animals. I mean WHO doesn’t like animals? Being the proud owner of a gorgeous British Shorthair moggie, I simply do not understand that you don’t like cats; or dogs for that matter. 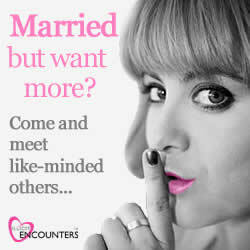 New research by married dating site IllicitEncounters.com revealed only 18.4% out of 1000 people surveyed were dog owners. 816 of the 1000 surveyed did not have any pets at all. Spokesperson for Illicit Encounters Claire Page says “There are many different reasons people have affairs, some people do it for companionship. Others do it because their partner travels often and they feel lonely, or because they think their partner is also having an affair so they feel it’s only fair. People want to feel adored, loved, important, valued, treasured, listened to, thrilled, or in control. An affair is not as black and white as some people think. That’s a prejudice and naïve way to look at it. What’s very interesting is the statistic from our latest survey – the fact that dog owners are the smallest group of people to stray says a lot. It reflects the temper of a dog – loyalty, protectiveness, friendship and affection are all things we associate with canines and people who are faithful.